Easily implement some of the most popular web analytics tools on your Joomla website. We offer basic plugins and advanced web analytics plugins for Joomla 1.5, 1.6, 1.7, 2.5 and 3.0. Start a/b testing on your Joomla website today! We have developed many plugins for Joomla 1.5, 1.6, 1.7, 2.5 and 3.0 to help you optimize your website with some of the most popular tools in the market. Do you want to get great insights from Google Analytics? Use our Google Analytics tweaks and professional plugins to analyze your website. We tested our plugins for Joomla 1.5, 1.6, 2.5 and 3.0. 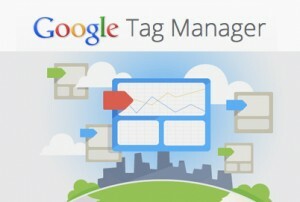 Google just announced a brand new product called Google Tagmanager. BTBuckets has always been one of our favorite behavioral targeting tools for Joomla websites. The plugin we developed together with the folks of BTBuckets has been extremely popular with our users too. Building awesome tools for online marketers and webdevelopers seems to come naturally to the folks of Predicta. They decided to pick it up another notch and develop something even better than BTBuckets. 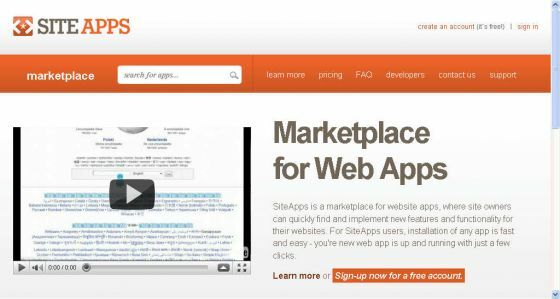 Siteapps was already introduced a while back. They slowly developed the tool into a useful tool to easily integrate smart features into your website, without any coding experience. During the development of Siteapps all of the cool BTBuckets features were integrated into Siteapps, making BTBuckets obsolete. Analytics for Joomla started developing their plugins in February 2011. This was a time when Joomla 1.5 was still going strong. We were still delighted with all of the cool features this great platform had to offer. since that time, Joomla has been evolved into an even more sophisticated platform. Over the past year and a half we have seen Joomla introduce new versions like Joomla 1.6, Joomla 1.7 and 1.8. By now, we are up to Joomla 2.5. The structure of Joomla 1.5 is of a respectable age by now. Everything still seems to work fine, but most developers have decided to upgrade their website to Joomla 2.5 by now. If you haven't done this yourself, please check out some of the cool new features of the latest version of Joomla. Analysts, marketers and decision makers need insight into the online behavior of customers and users over periods of time and across multiple devices, while most analysis packages are based on measuring individual sessions on a single device. The engineers at Google are busy measuring visitor behavior over multiple visits and devices with a new version of Google Analytics. Tired for over a week to get the coding to work with no luck - installed this extension and it started tracking in less then 5 minutes. Works like a champ - Thank you! I downloaded this plugin a month ago and had a few questions. Send these guys an email and got a respons the same day. The plugin has been updated twice since then, adding interesting features.